During my early days of teaching I picked up a first edition of this book and read it from cover to cover in two days. I fell in love with the idea of travelling through the Amazon and discovering its flora and fauna. Since reading it, I’ve used it as a class text several times and it’s also helped me teach English to students where it’s a second language. In fact, my original copy I gave away to a french student in Angola who was enjoying reading it as much as I did. Now I’ve managed to get a new copy and I sat down with Helena yesterday to begin reading it. 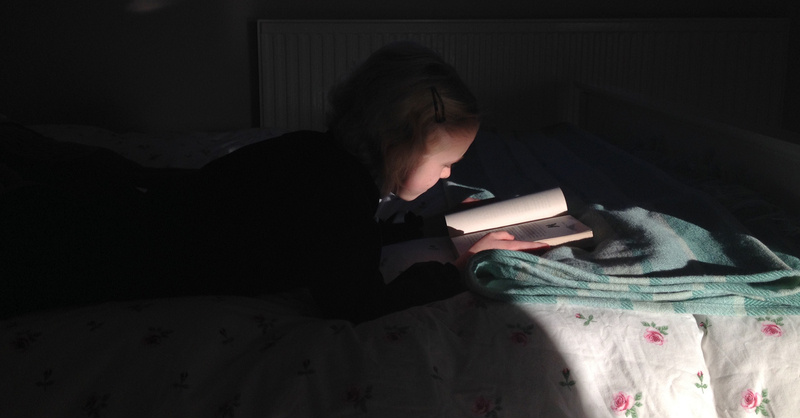 This morning I spotted her catching the early morning light totally engrossed (just like I was). So I thought I must share this one with you all. Journey to the River Sea is a classic. It’s about an orphan girl, Maia, who is sent away to a distant relative living miles up the Amazon river. She imagines a life with a loving family but instead her two spiteful cousins make her life miserable. It’s not until she takes to the outdoors and discovers an exceptional world of pure delight through the wonders of the rainforest. 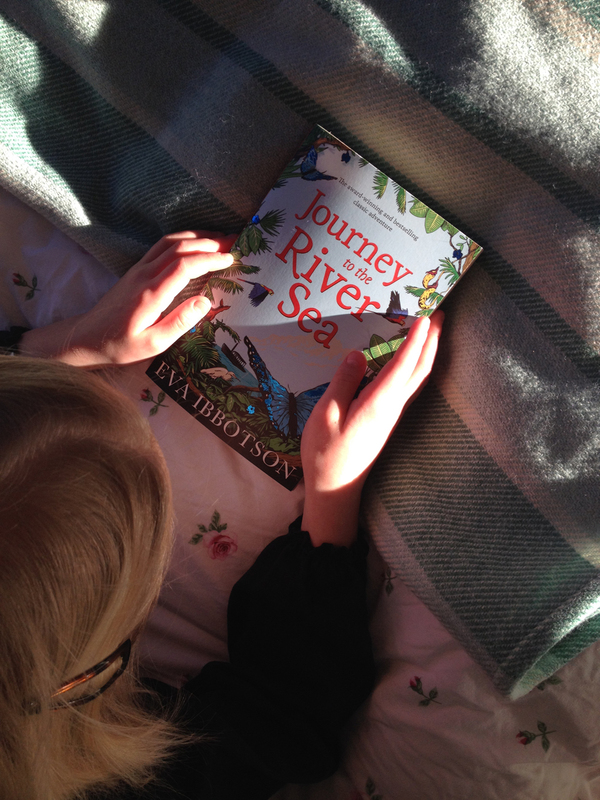 And when she meets a mysterious boy who lives alone on the river bank the story becomes so exciting and engaging that you really can’t put this book down. I highly recommend this book for confident readers or similarly it’s a wonderful read together at bedtime. But don’t be disappointed when your children ask to stay up late to read it! P.S. The audio book is just as delightful. Sounds great! Have ordered it already! My local West London library has this, so have reserved it as we are coming to the end of the current book. So funny, I just bought this right before seeing this post! Glad read it’s a good one. Thank you so much! We ordered it for my niece’s birthday and my husband and I both read it and fell in love with it. It’s absolutely delightful!